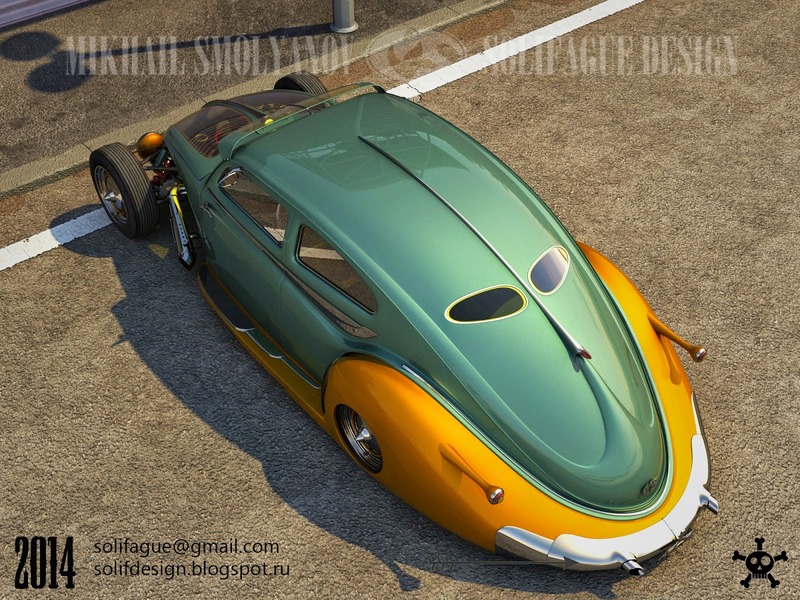 Love of classic style in the automotive world bring a digital work that someday could be a reality. 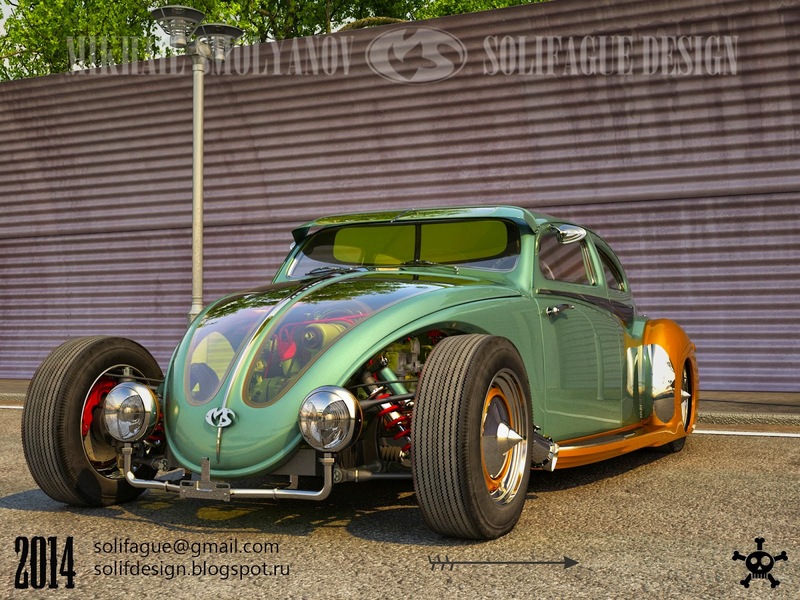 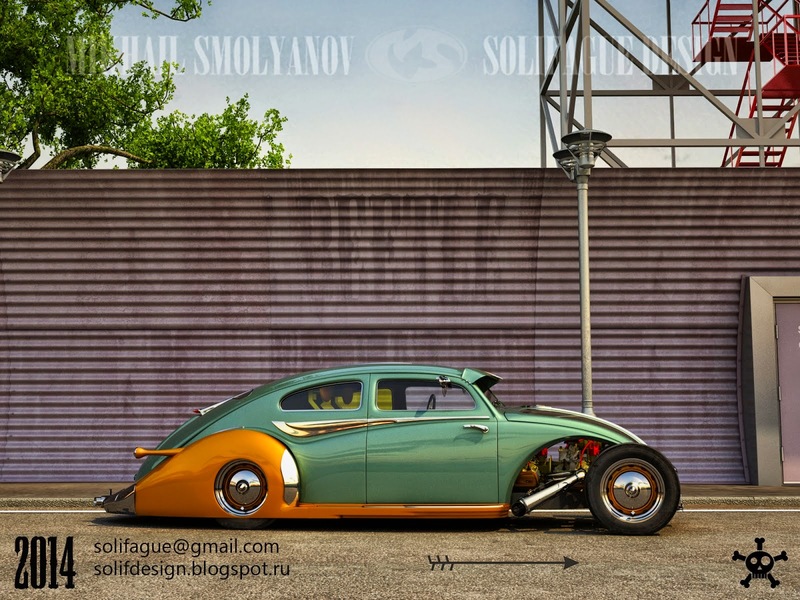 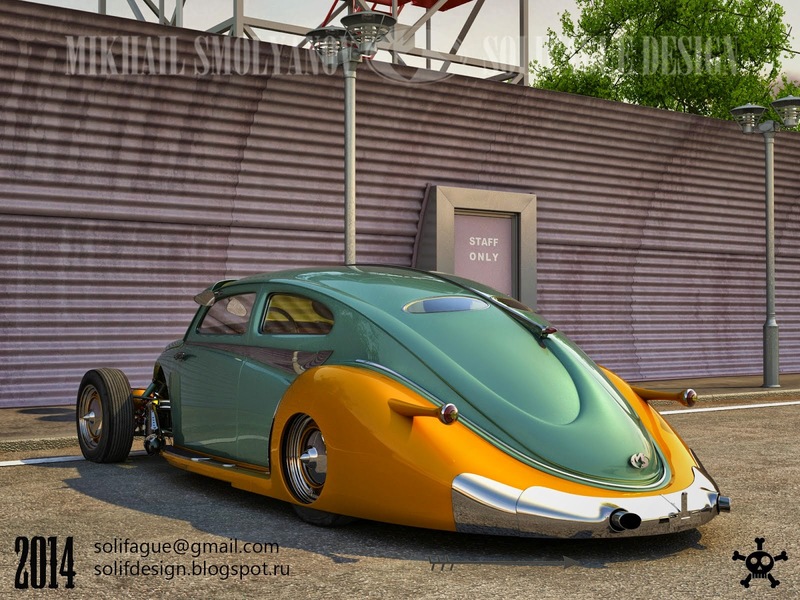 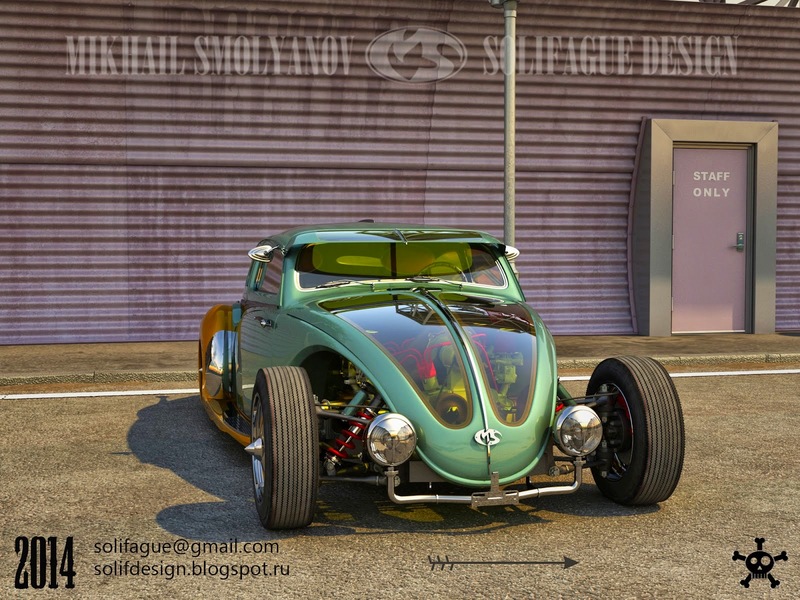 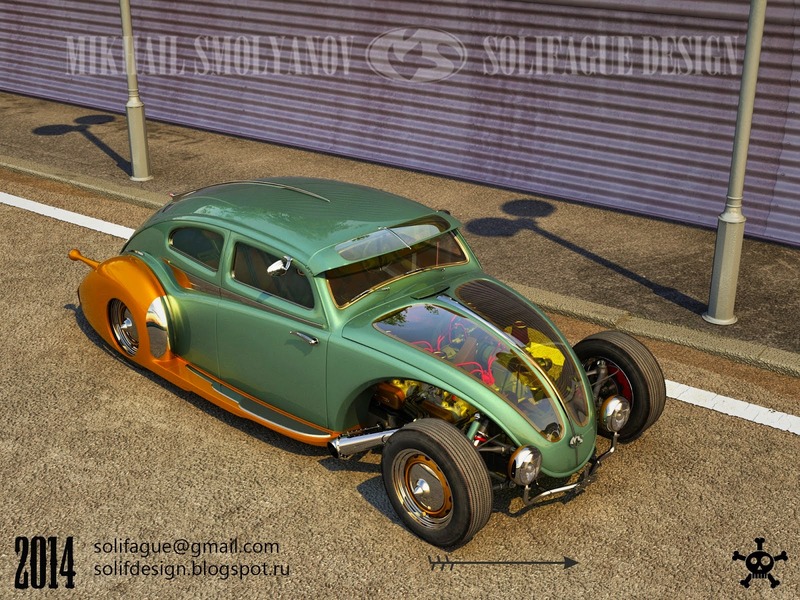 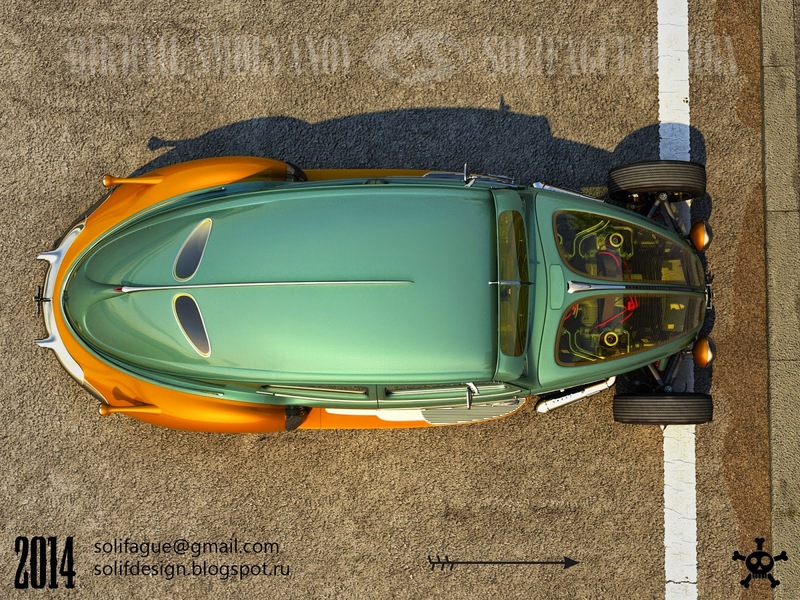 In the hands of an automotive designer from Russia named Mikhail Smolyinof - Solifague Design, a classic Volkswagen Beetle has been transformed into a beautiful hotrod. 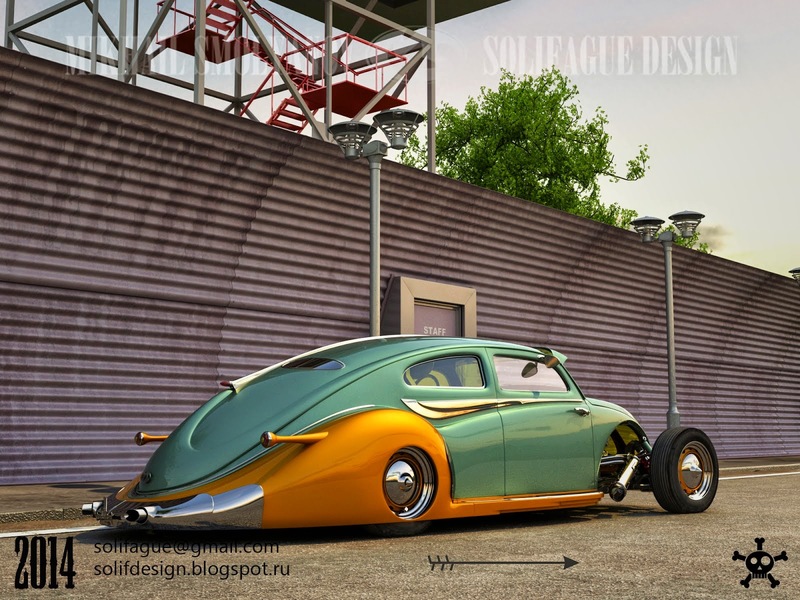 Hotrod distinctive style that tends to take off the car's fender, either the front alone or even all of them, remains a character which Smolyanof want to show. 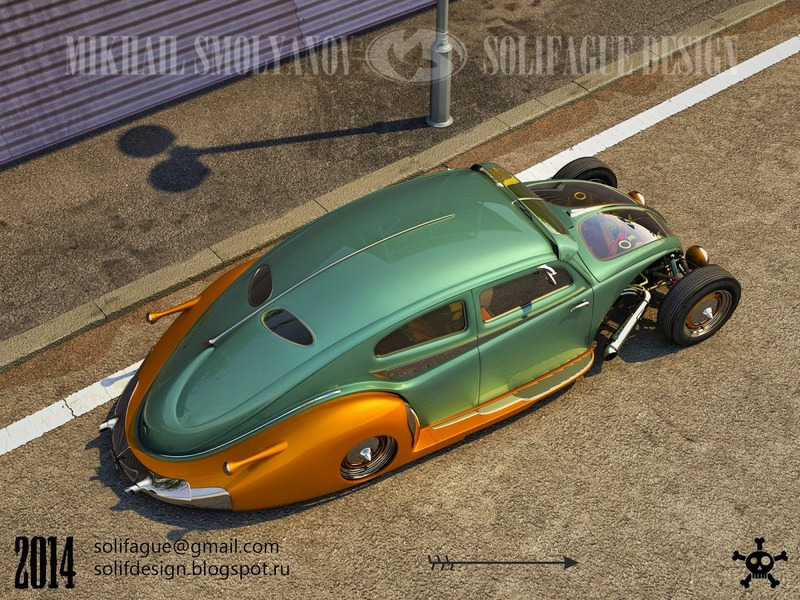 The position of the car roof that most hotrod apply also appear in this 3D work that make it lower than the standard in general.